Since the time of its inception, the world wide web has never had a quiet day. Each and every year has seen trends come and go and new concepts replace the old once. It goes without saying that web developers will continue to remain in demand in 2018 and some trends in web development will do better than the others in the coming years. As an aspiring web developer, you should know what’s coming. Research has told us that the best way to keep up is to ride on the wings of change rather than just follow in its wake. So what will happen in the world of web development next year? Well, Artificial Intelligence (AI) will continue to rule the roost and chatbots will still be spicing things up. Apart from that, the trend of single page websites that found footing this year will continue to grow. 2018 will see the rise of several progressive web applications and photo content will continue to retain its crucial importance in website development. By the way, are you just starting out? The whirlwinds in web development may seem to be a little overwhelming, in that case. Let us guide you through. In fact, this article will give you everything in a nutshell, everything that you need to know to become a successful web developer in 2018. Here’s the good news, though programming has largely evolved over the years, the process of going about it remains the same. As an aspiring web developer, the browser is your bible. Your job is to know what happens behind the scenes when someone enters an URL in the address bar. Just for record, the browser takes a quick peek into the Domain Name System (DNS) records to fish out the corresponding IP address. Once it receives the correct IP address, the browser will have a certain chitchat with the server that matches the IP address in a language you and I won’t understand. Well, what happens next is, the browser makes a polite HTTP request to which the server agrees and sends back a response. The browser then displays the HTML content to you, and you go about happily doing what you have to do, without even realizing that the world has turned around twice in a span of, what, some 0.2 seconds? This 0.2 seconds is what a programmer lives for, this is where his ingeniousness lies. As an aspiring developer, your job is to know the basics inside out. Self-reading is a good place to start and the internet is teeming with free resources. Well, the heavens know, there are precious few questions to which Google does not have an answer. So get going! Now, if you have religiously followed step 1, you must be quite aware of the nitty gritty of web development by now. It’s time to delve deep into the mechanisms of HTML and CSS (they are not programming languages just so you know). They are fairly easy to learn and will help you have really meaningful conversations with your browser. By now, you should be able to put together a web page, though not a very pretty one. But that’s fine. We are just learning it seems, and the more we practice the more perfect we will get. Just remember the agenda: to become a successful web dev. in 2018! Bootstrap! Bootstrap is an open source tool kit that one can use while developing with CSS, HTML and JS. As you explore, you will soon realise how simple and at the same time important this little framework is! Probably, now your webpages will closely resemble the ones that people browse for in 2017. Congratulations! You have earned yourself the title of a junior web designer. Now, let’s quickly go over to the next step, 2018 is not too far away. How to be a pro? The trick is so obvious that you couldn’t miss it, we are sure. To know more than one programming language, of course! When it comes to coding languages, C and C++ continues to dominate the region of popularity, and dynamic and interpreted languages like Ruby and Python works wonders for non-CPU bound applications (you can take a pick with either of them). While knowing Haskell will enable you to think about problems in terms of recursions and data flow. Anything more that you should know? 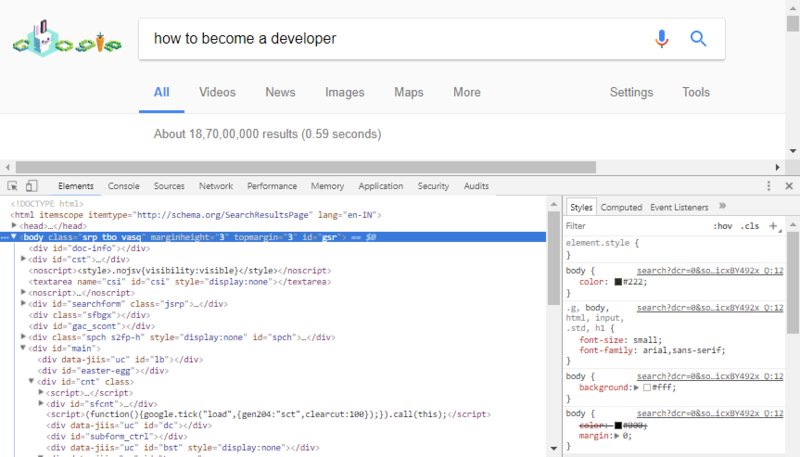 Now that you have learnt all there is to know to land yourself a web dev. job, you need to know where the currents will take you. But before that, you must know this – learning is a constant process for a web developer. Web is ever-changing, it is as dynamic as it gets. So you need to keep up. Also, learning is one thing, implementation is another. So, the trick is to learn, implement, repeat! Next, and the ultimate step is to choose a roadmap for your career. 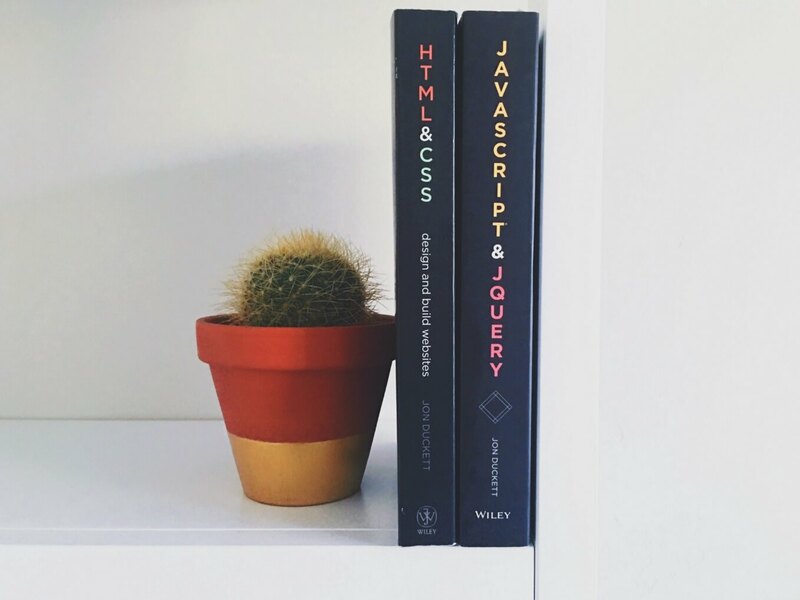 Do you want to be a front-end, back-end or a fullstack developer? 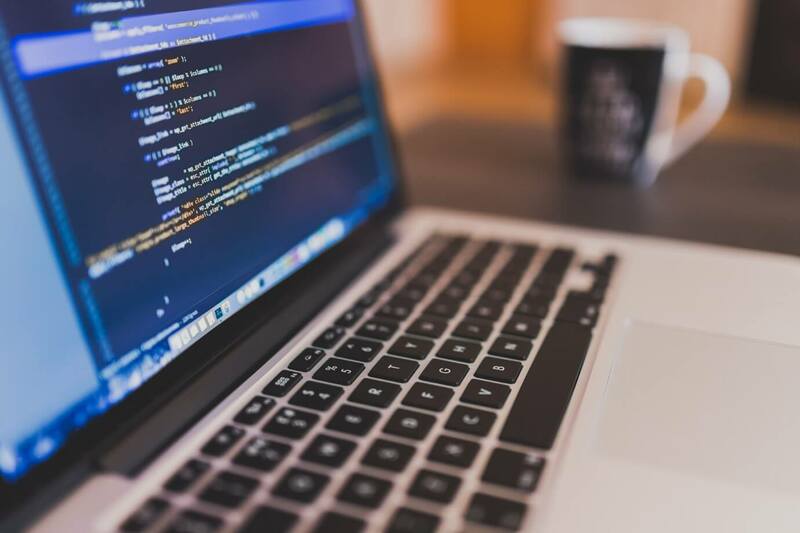 While the front-end guys deal with the user-facing part of web applications, the back-end guys do the actual magic behind the scenes and fullstack developers are simply the ninjas that can give you the best of both. This is not easy to figure out, but time, interest and expertise will gradually show you the way. To become successful, you must first begin. If you keep up and are willing to work hard, success will find you even if you should hide underground. And 2018 will give you many reasons to stick to your passion, one of them being the fact that the web development industry will continue to grow by leaps and bounds by the end of the year.